I started making this one on Election Day in the Philippines just this May 13. I actually made the 1st row while waiting in line for my turn to vote. It was a long wait. I'm glad crochet is a convenient craft. You can take it anywhere! Love, love, love, chevron!!! The color possibilities for this pattern are endless (didn't I say that earlier?!?)! This is still a work in progress. The size so far is 41 in. x 45 in. I'm planning to make it 60-in. long. It would make a good accent in any home that welcomes pops of color. The yarn is really light and I think it will be irresistible to wrap yourself with it under a rainy or cold weather. I am actually not planning to keep this afghan for myself. 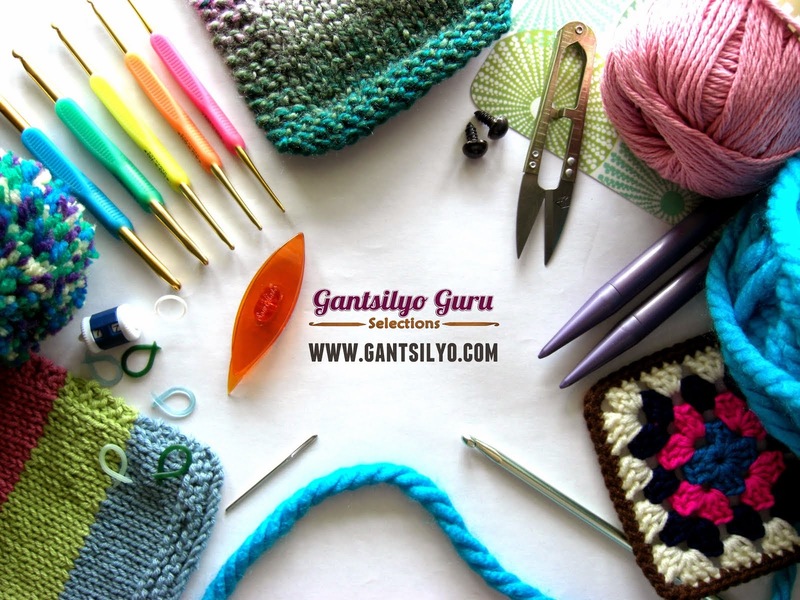 So if any of you are seriously (yes, seriously) interested to purchase this unique (like, really unique - unique to the extent that you will be the first and only one so far to have something like this in the Philippines), just send me an email at gantsilyoguru@gmail.com. Delivery will most likely be end of June or early July. This is not an original pattern, but it is an adapted one. When I say adapted, I used an existing pattern and made changes to it so it could come out the way I wanted it. I used a different yarn and hook size and tweaked the pattern count and row stitches. 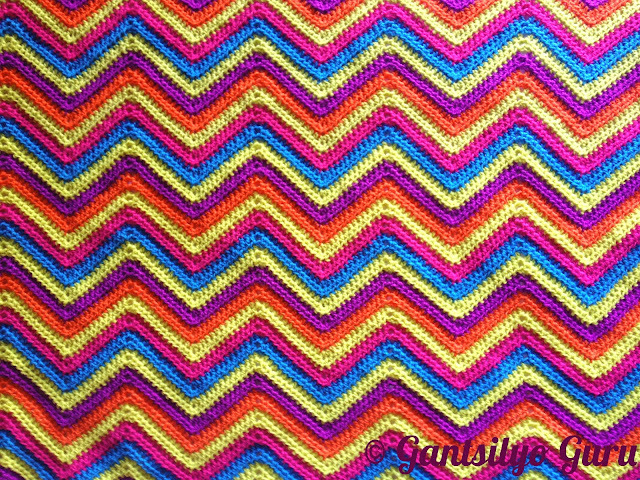 This one is an adaptation of the pattern called "Bicolor Chevron" from the book " Comfort Knitting & Crochet Afghans" by Norah Gaughan, Margery Winter, and the Berroco Design Team. I am currently working on a ripple blanket. Kaloka, ang bagal ko! haha. I like your the colors you chose for this one, they really pop! I crocheted a ripple blanket made of cotton yarn from YSM. Of different shades of yellow and white. It measures 6ftx6ft. You inspire me so much. :) I am currently working on a blankie made of little bitty squares, inspired by your african flower bedthrow. :) More power!! what kind of yarn did you use here? Yep, twinkle's correct :) these are the local baguio yarns. 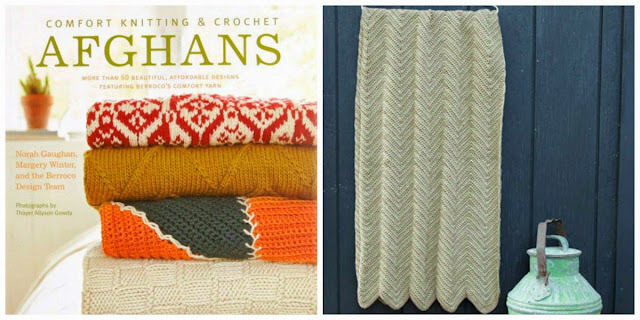 Actually, you can also make the same afghan using mercerized crochet cotton! This is beautiful! Tyaga mo talaga ano? I've never made a blanket or throw yet even though I really need one here because I'm not very patient... The biggest projects I've made are shawlettes. Hehehe! Hello. Mapapa Wow talaga ang sinuman sa Afghan na yan. 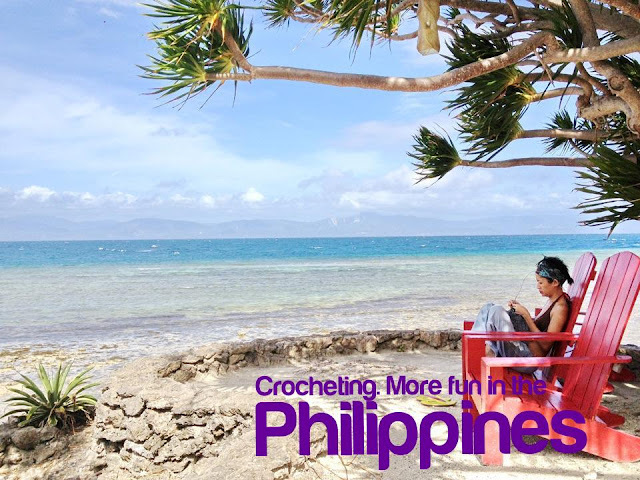 By the way, do you have any site or Facebook Page where we can share our crochet projects too? Thanks. Hi Trey! I agree with ESL Teacher about a site to share projects with everyone. Maybe you should start a Ravelry group so that your blog followers, friends and crochet workshop attendees can post and share their projects with everyone. 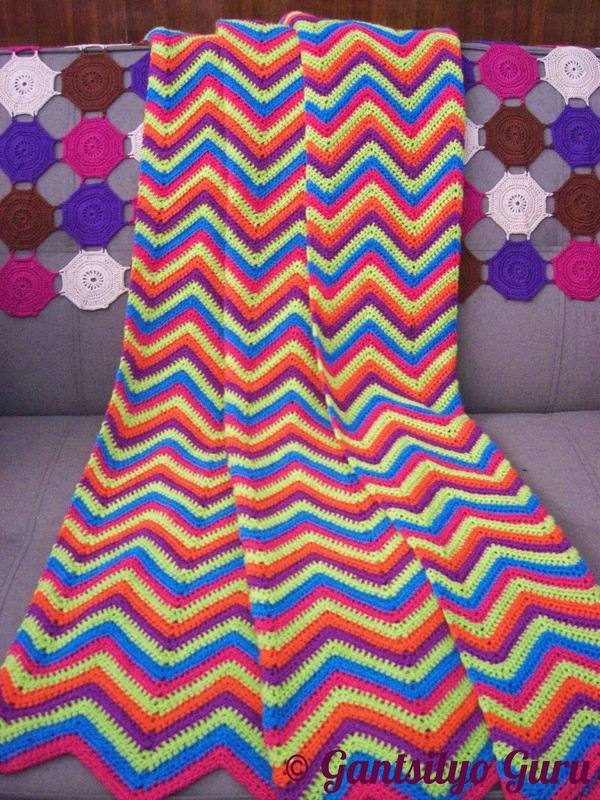 That is a very beautiful Afghan. 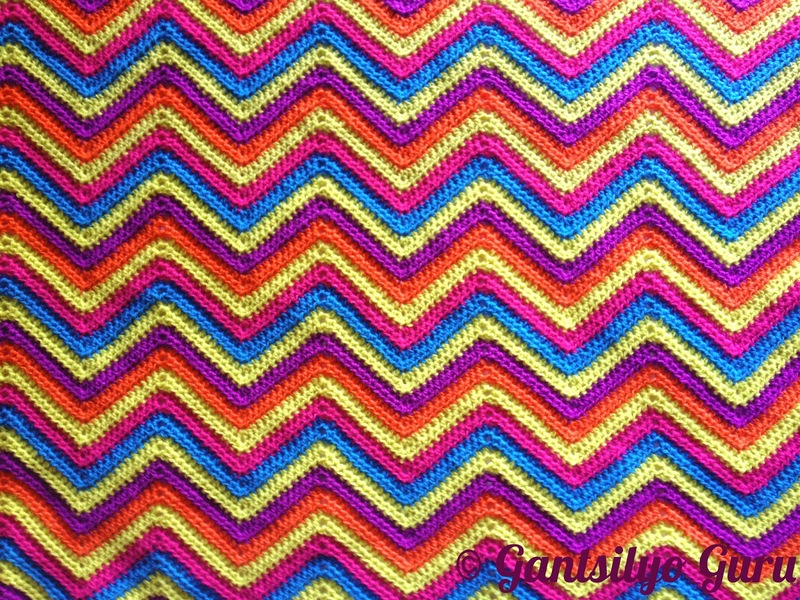 I love ripples and chevrons because you can make it as big or small with as many colors as you want. As for the Clover yarn cutter pendant, you should be good to take it in the plane with you since there really are no sharp points that could harm another passenger.